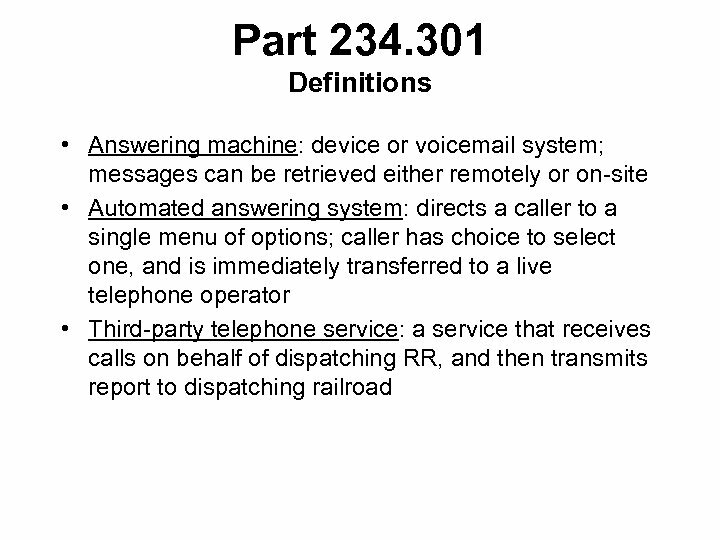 Part 234. 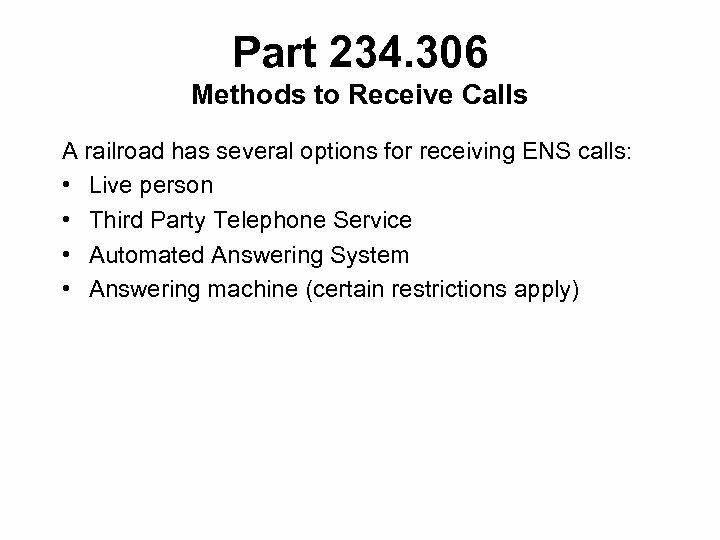 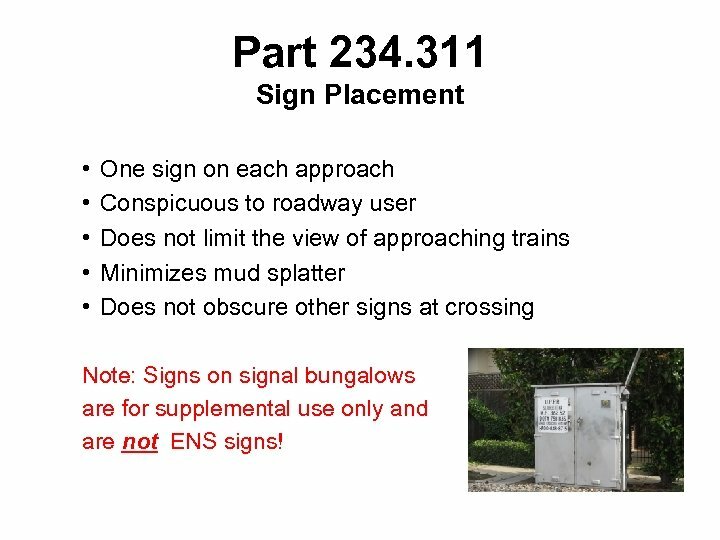 311 Sign Placement • • • One sign on each approach Conspicuous to roadway user Does not limit the view of approaching trains Minimizes mud splatter Does not obscure other signs at crossing Note: Signs on signal bungalows are for supplemental use only and are not ENS signs! 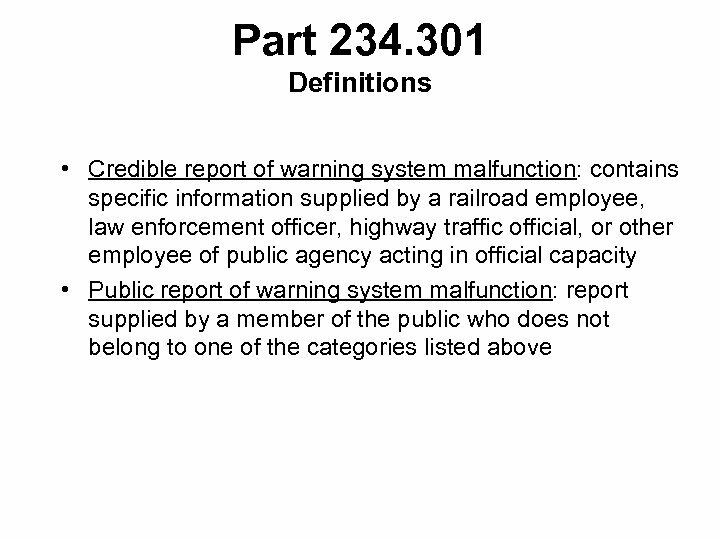 Part 234. 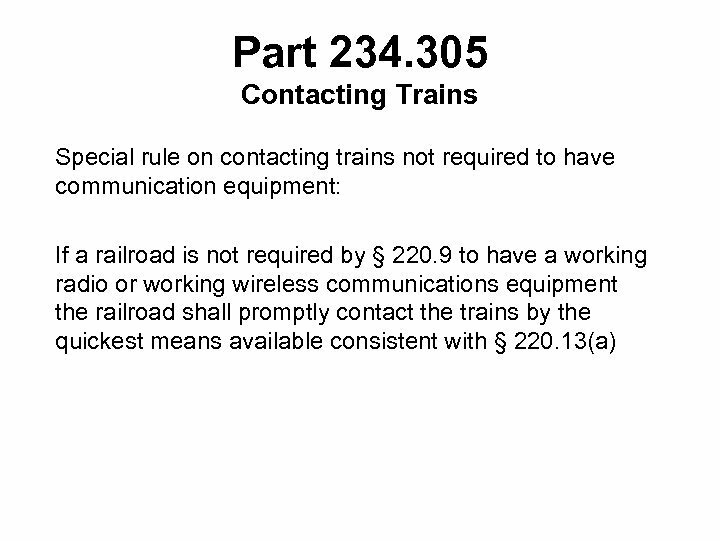 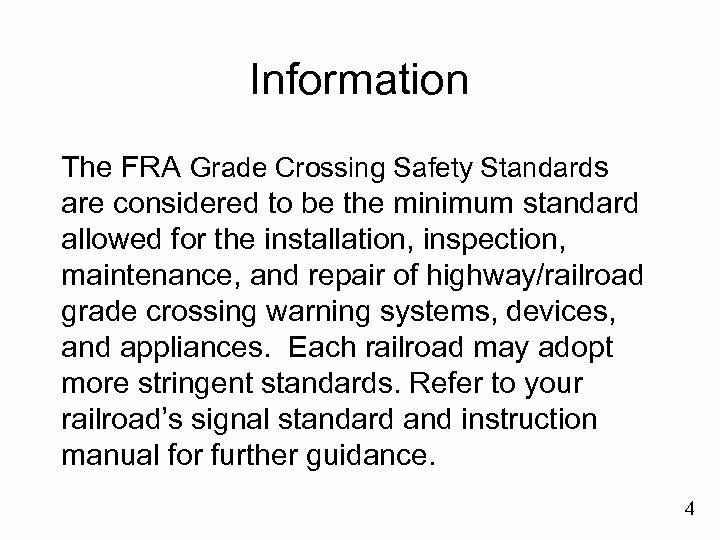 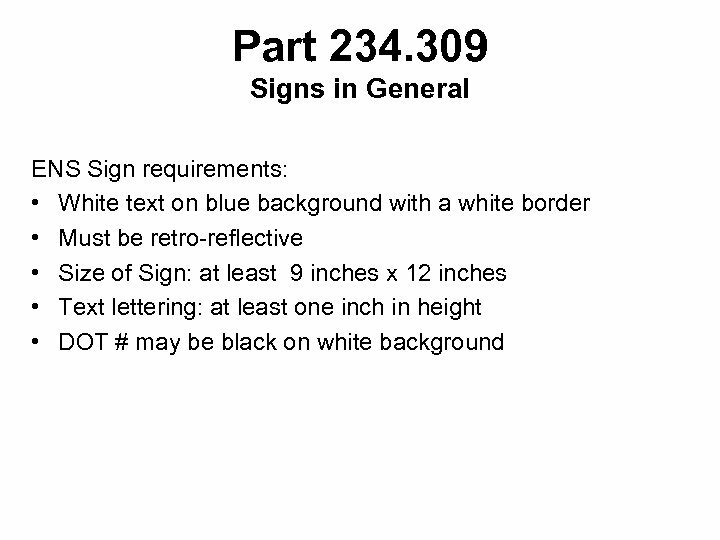 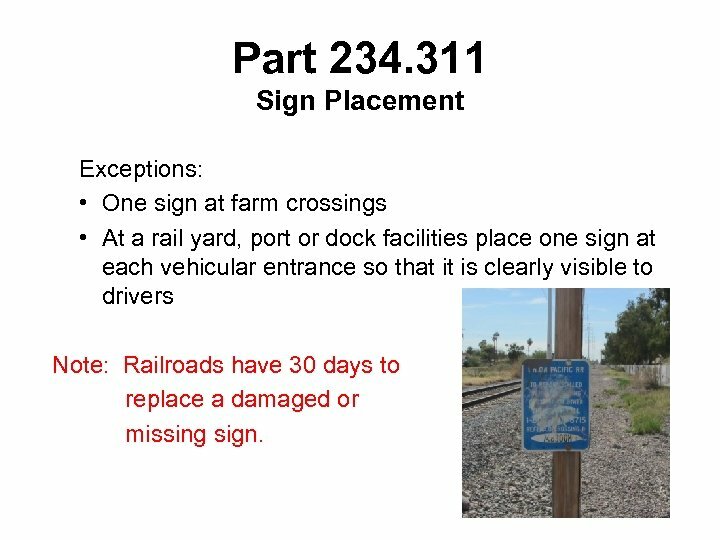 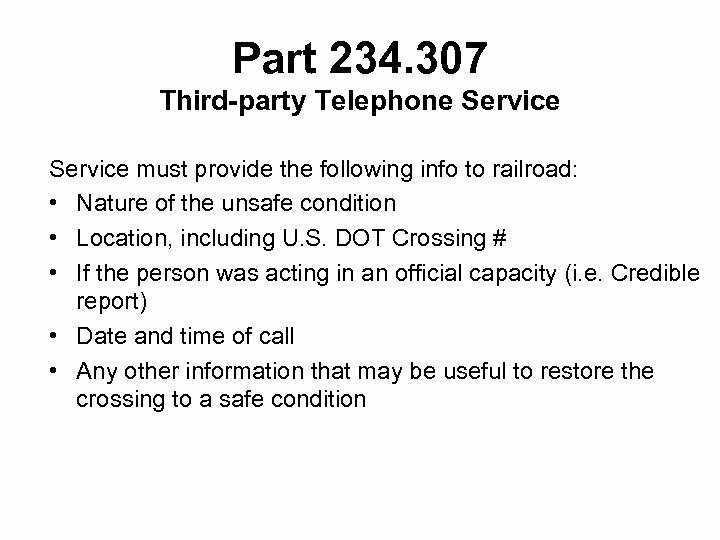 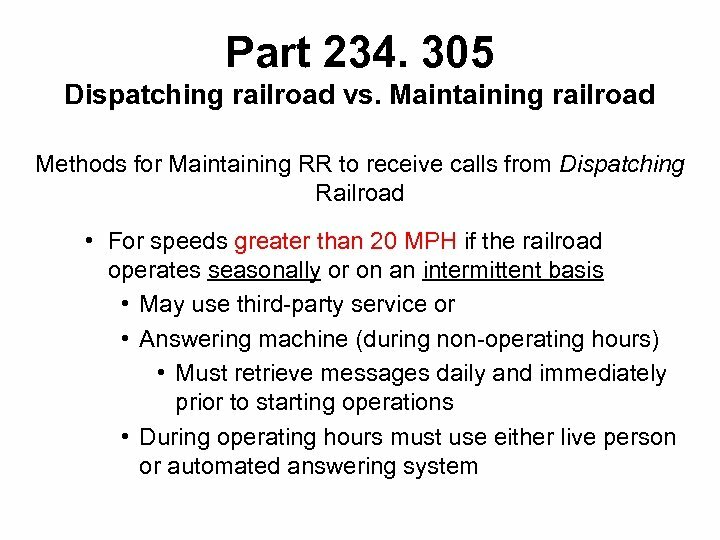 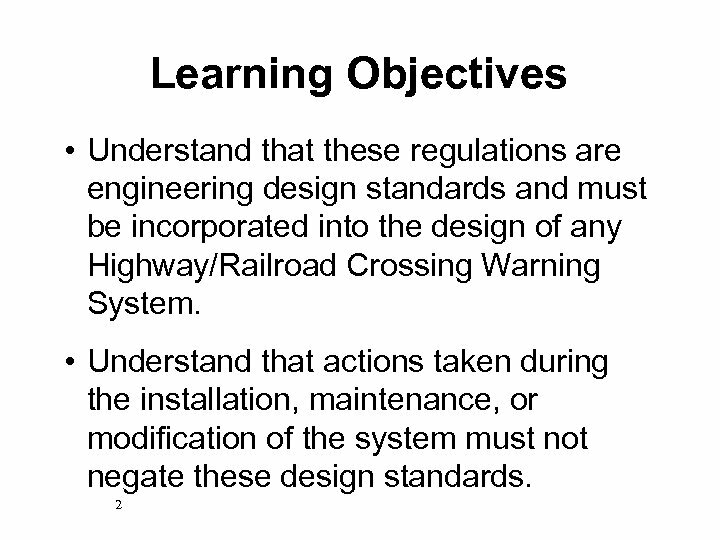 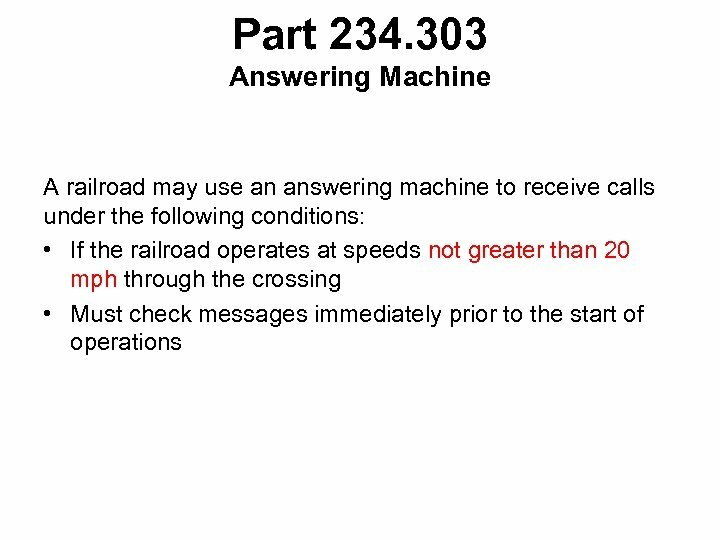 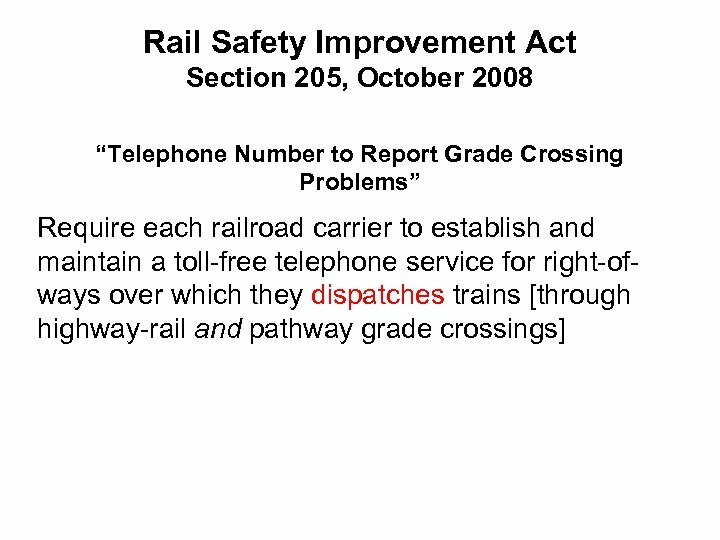 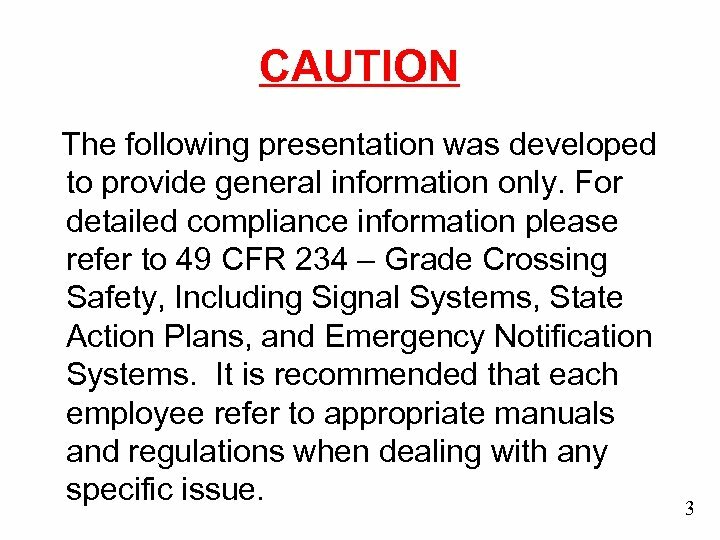 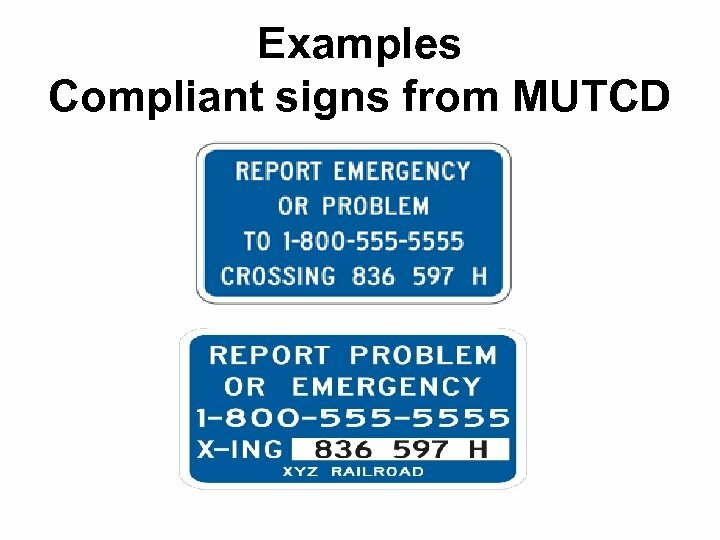 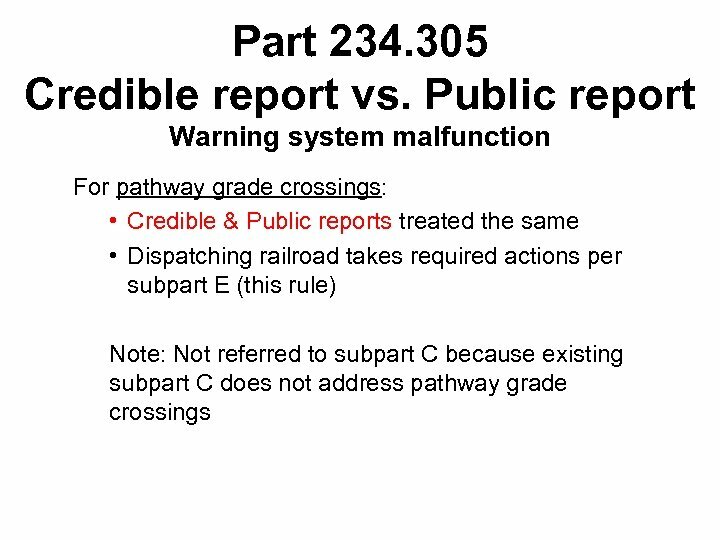 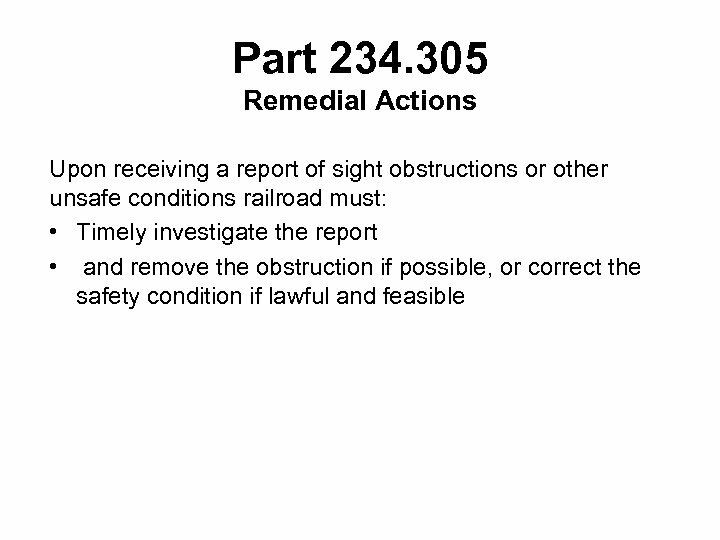 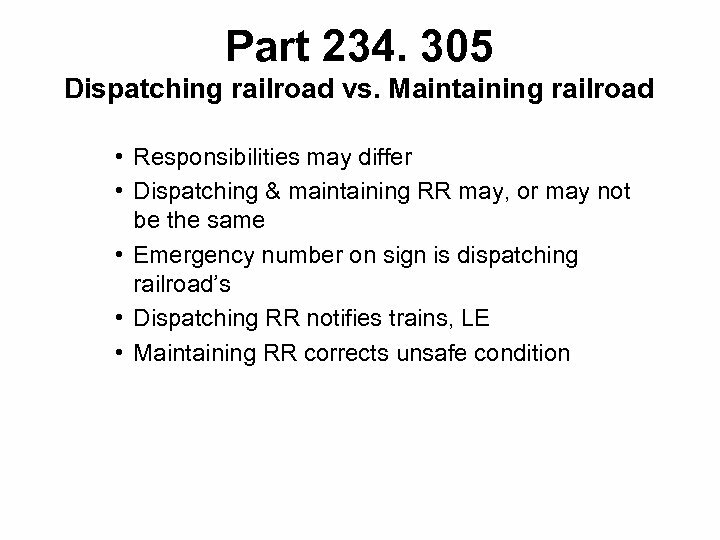 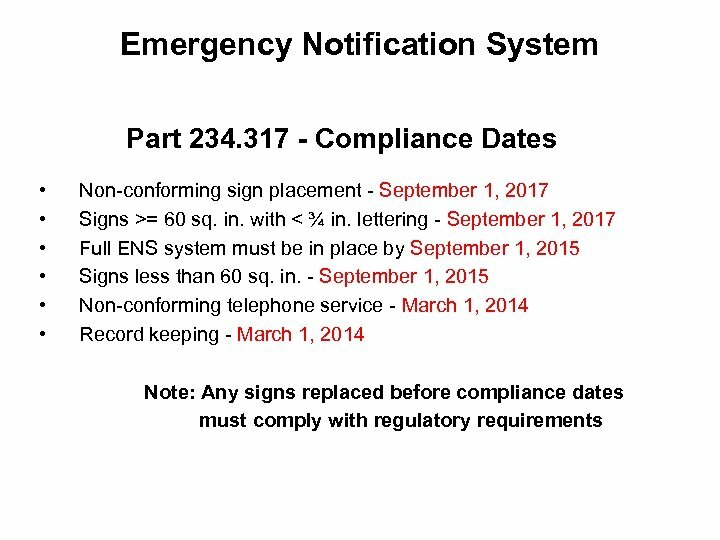 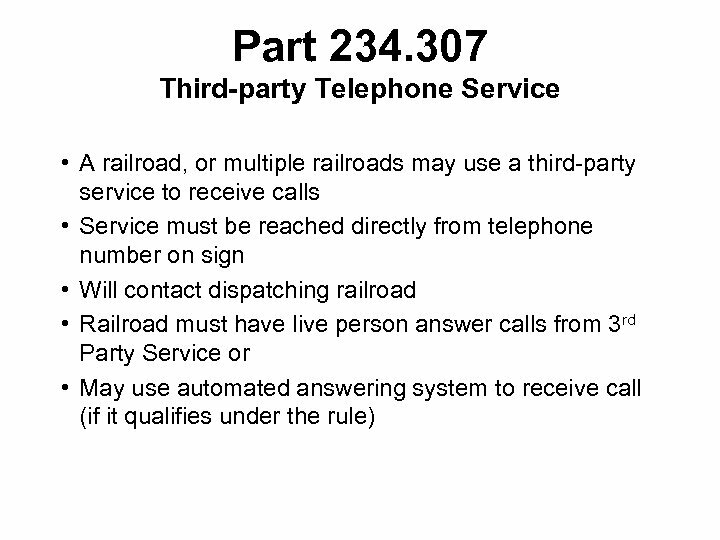 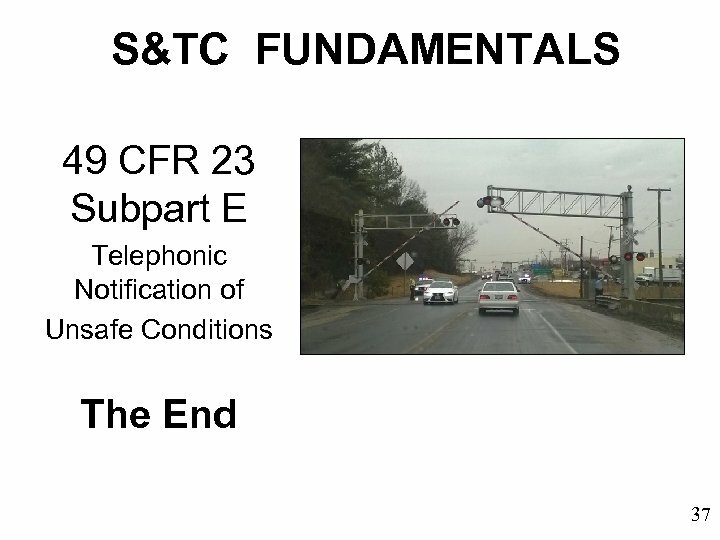 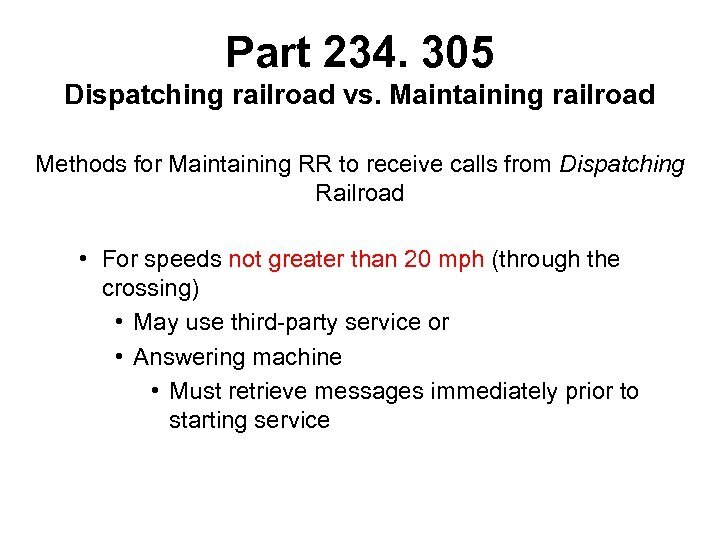 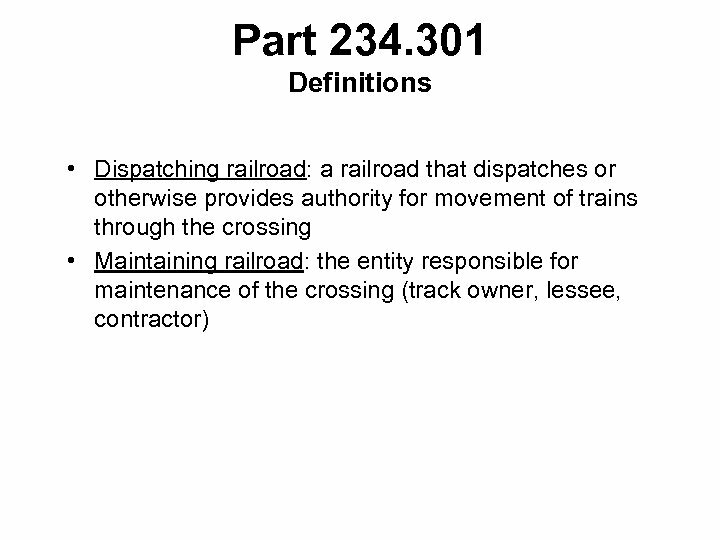 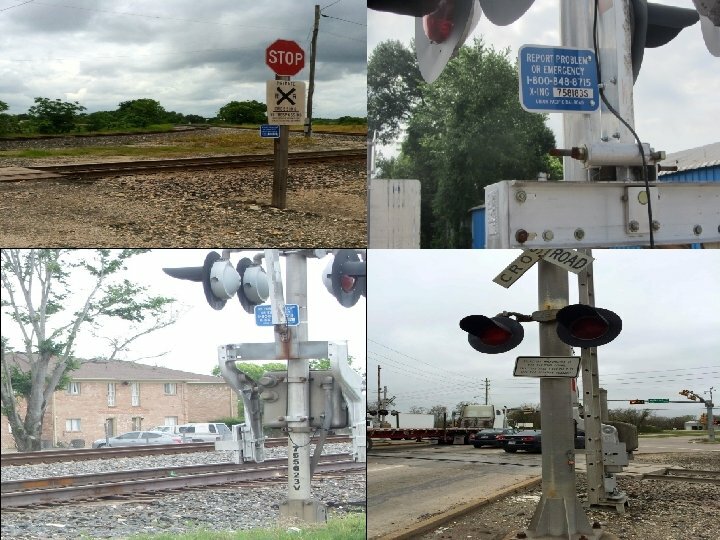 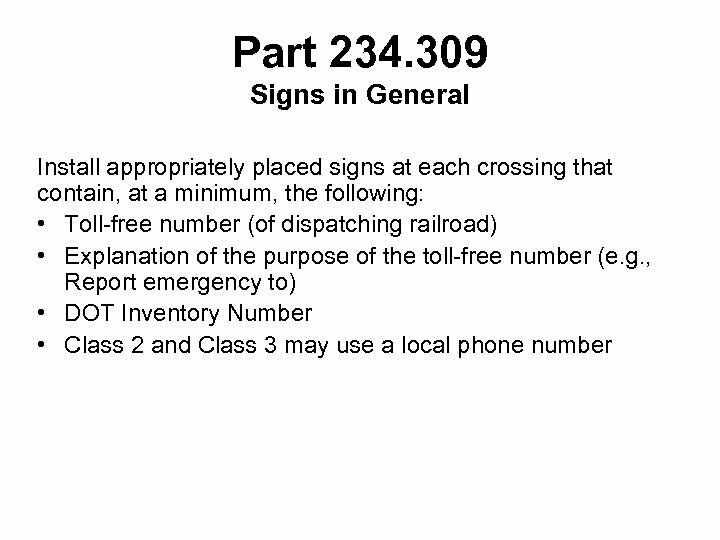 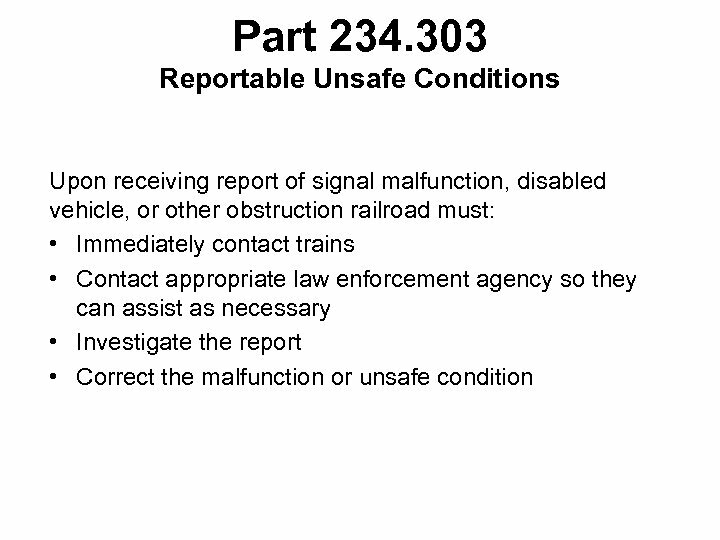 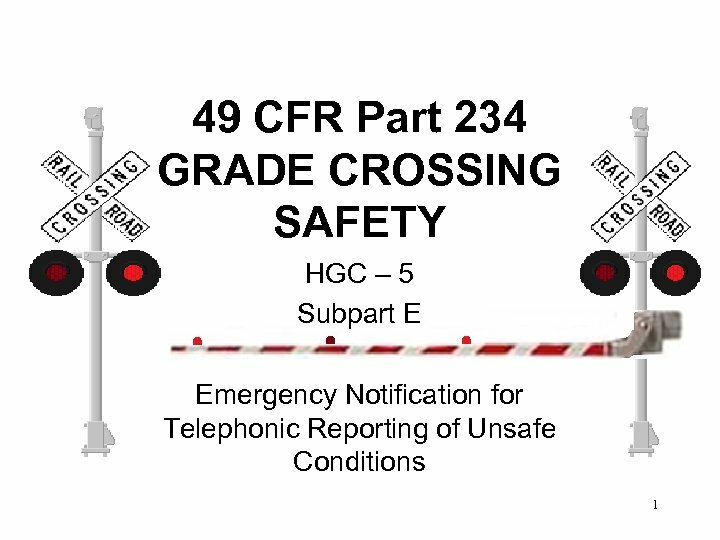 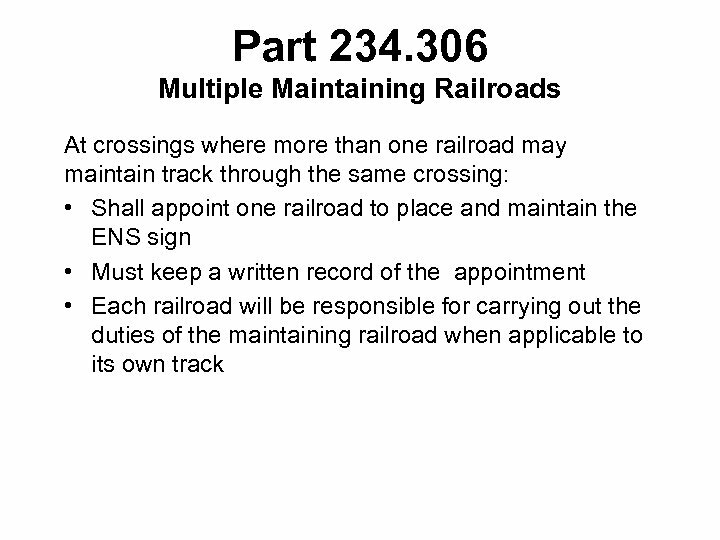 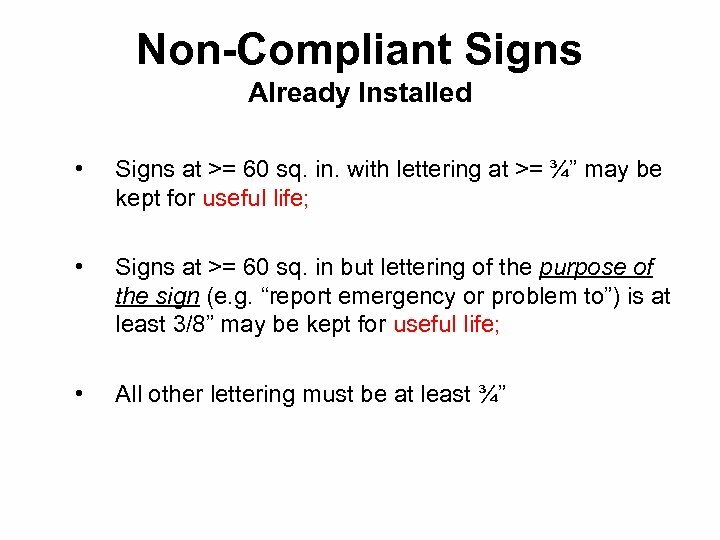 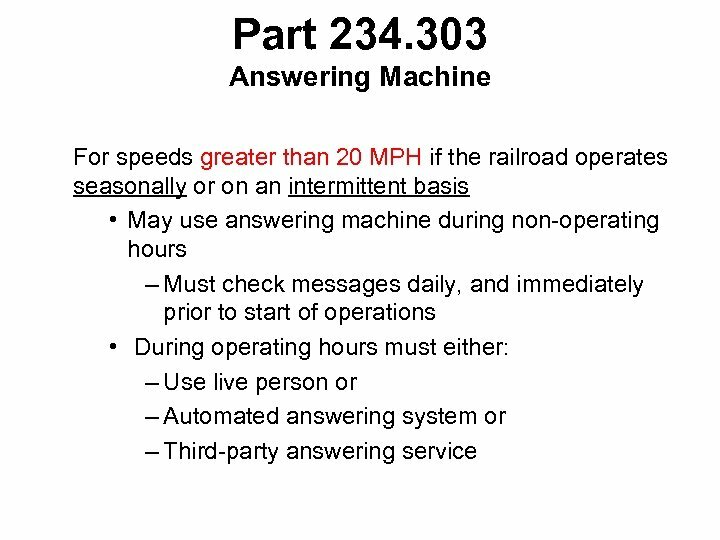 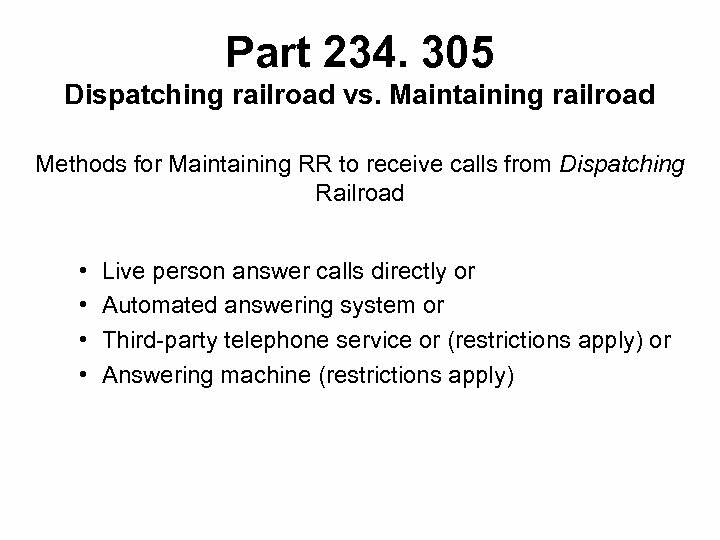 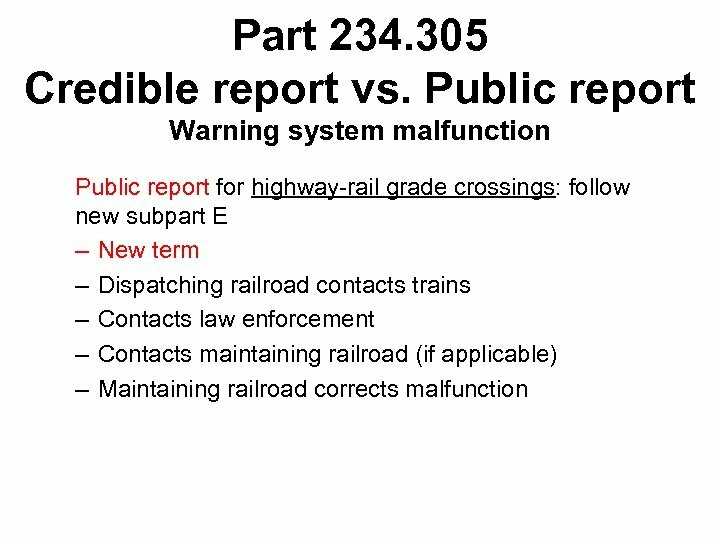 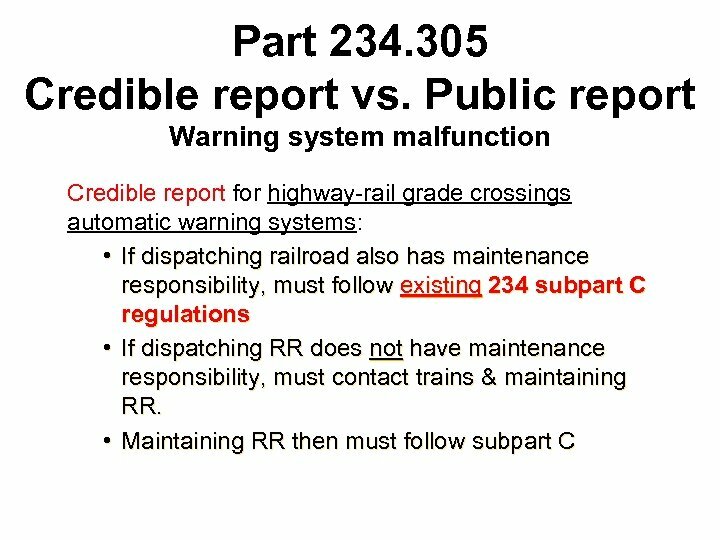 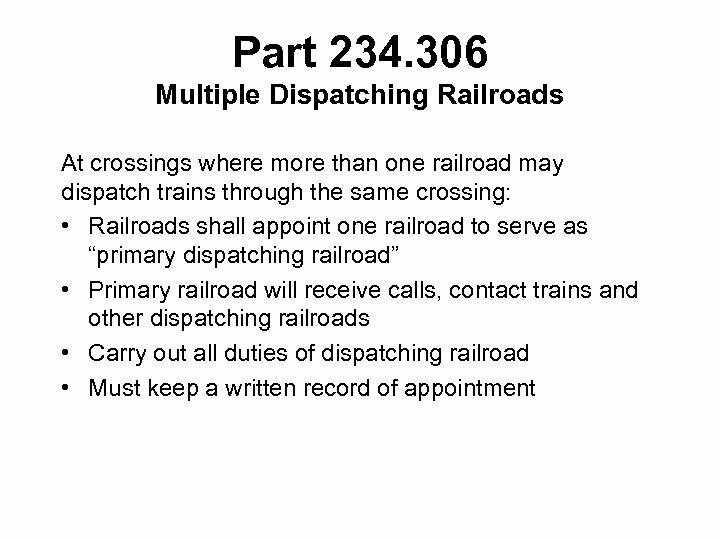 311 Sign Placement Exceptions: • One sign at farm crossings • At a rail yard, port or dock facilities place one sign at each vehicular entrance so that it is clearly visible to drivers Note: Railroads have 30 days to replace a damaged or missing sign.